March 20, 2018, New York, NY – Researchers at John Jay College of Criminal Justice are creating a first of its kind national, open-source database to track shootings on K-12 school grounds and sharpen the public’s understanding of these tragedies. In partnership with University of Texas at Dallas and Michigan State University, the project is supported by a grant from the National Institute of Justice’s Comprehensive School Safety Initiative – a research-focused initiative that seeks to develop knowledge about the root causes of school violence and to foster and evaluate strategies for increasing school safety. 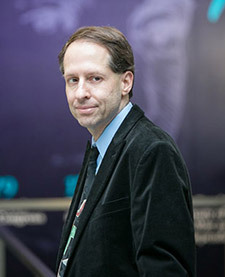 The dearth of empirical data on school violence in the United States and the almost complete absence of quantitative data on perpetrators and incidents will be remedied by the production of this database and the analysis of data on the risk factors of school shootings,” said Professor Joshua Freilich, who is the principal investigator of the project and a member of the Department of Criminal Justice at John Jay College. compare fatal shooting incidents to events where only nonfatal injuries resulted to identify intervention points that could be used to reduce the harm caused by shootings. In addition to fatal shooting attacks that targeted students or teachers, the database will include cases that resulted in injuries but no deaths; domestic violence, work place violence, or any other shootings occurring on school grounds; and suicides on school grounds involving a firearm. Researchers will use quantitative, multivariate analyses and qualitative case studies to document where and when school violence occurs. They will highlight key incident and perpetrator characteristics to help law enforcement and school administrators differentiate between the kinds of school shootings that exist to aid in the development of prevention strategies and policy initiatives at local and federal levels. Several graduate students from the John Jay master’s and doctoral programs in criminal justice are part to the College’s research team. Future research plans include expanding the study to attacks on college campuses and also examining foiled plots – planned shooting attacks that were thwarted by the law enforcement and others. About John Jay College of Criminal Justice: An international leader in educating for justice, John Jay College of Criminal Justice of The City University of New York offers a rich liberal arts and professional studies curriculum to upwards of 15,000 undergraduate and graduate students from more than 135 nations. John Jay is home to faculty and research centers at the forefront of researching and advancing criminal and social justice reform. In teaching, scholarship and research, the College engages the theme of justice and explores fundamental human desires for fairness, equality and the rule of law. For more information, visit www.jjay.cuny.edu.